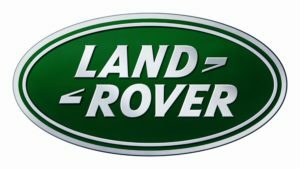 For over 70 years, Jaguar and Land Rover have engineered and manufactured a range of vehicles that represent capability, performance and refinement.In keeping with this forward-thinking philosophy, Jaguar Land Rover’s growing range of vehicles cover a spectrum of security and policing requirements. Through Jaguar Land Rover’s global footprint, these vehicles are deployed across the world to VIPs, heads of state, and key-workers alike. The range comprises of vehicles that provide a capable and versatile platform for policing organisations, as well as a class-leading, certified armoured vehicle – Range Rover Sentinel.Special Vehicle Operations, an in-house division based at Land Rover’s Oxford Road facility, designed and engineered Range Rover Sentinel to withstand the most damaging and targeted threats. Whilst providing protection against armour piercing incendiary bullets and a blast from DM51 grenade, Range Rover Sentinel retains Land Rover’s breadth of capability and uncompromised levels of luxury and refinement. Beneath the discreet and inconspicuous surface, it’s a different story. Range Rover Sentinel goes far beyond the conventional. occupants from targeted threats and potentially lethal attacks. what it means to be a Range Rover.